Nobody likes paying taxes on the money they’ve worked hard to save and invest for their future. The taxes paid over a lifetime of investing can have a big impact on the amount of money that will be available to use for future spending and achieving goals, but commonly get overlooked when people are planning for retirement. Fortunately, you have many options to minimize the taxes on your investment portfolio. Some of them are so simple anyone can do them, while others are more complicated and may require the help of a professional. You can also lower the amount of buying and selling that needs to be done in the management of your portfolio by holding fewer, more broadly diversified mutual funds rather than a whole bunch of less diversified niche funds. If you are investing in a taxable account, find out if there are “tax-managed” or “tax-advantaged” versions of the same funds you are considering investing in. 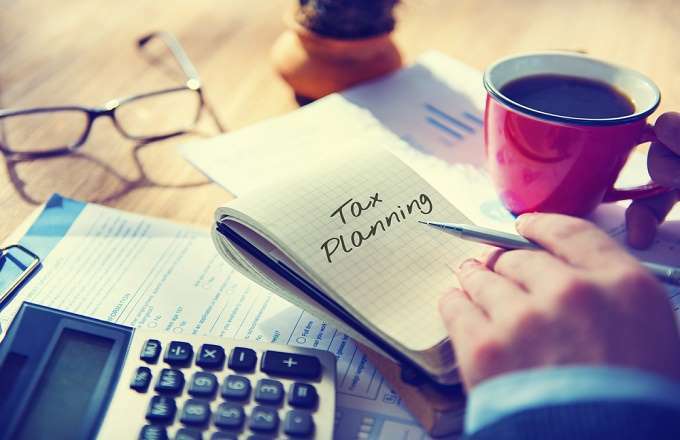 Tax-managed versions of funds usually hold almost identical investments as their counterparts, but are just managed in a way that considers taxes and aims to generate the best after-tax return possible. In a traditional individual retirement account (IRA) you invest before-tax dollars. That is, when it comes time to file taxes, the amount you contributed is deducted from income and lowers your tax bill. The proceeds grow tax deferred, but you eventually pay taxes on withdrawals at your ordinary income tax rate at the time of withdrawal. In a Roth 401(k) or IRA you invest after-tax dollars (that you have already paid taxes on), your investments grow tax-deferred and if you follow all the rules you can withdraw the funds without having to pay taxes on gains. The original amount is considered return of principle so you don’t have to pay taxes on that either. You take any RMDs from your accounts first because they are required to be taken by law. If you do not take them, you will receive a penalty of 50% of the required minimum distribution amount. You would then withdraw from your taxable accounts before spending from your tax-deferred accounts because it lowers the amount of income taxes paid in the beginning years of retirement and enables as much of your portfolio as possible to continue to benefit from tax-deferred/tax-free growth. You can take advantage of years when you’re in a low tax bracket by performing Roth conversions. This process involves converting some of the money in your traditional IRAs into a Roth IRA. You pay taxes on the amount you transfer now, but once the money is in the Roth IRA it will never be taxed again. In practice, it’s common to convert enough to create a taxable income equal to the threshold for the 10% or 15% marginal tax brackets. Performing Roth conversions allows you to take advantage of tax deductions that go away if you don’t use them. They can also reduce the risk of big RMDs in the future that could force you into a higher tax bracket. In the early years of retirement if you are in the 15% ordinary income tax bracket or below, your capital gains tax rate is 0%. That means if you own an investment that has appreciated, you can sell it, pay no tax on the gains and buy the same investment again at a higher basis. Having this higher basis on the investment will lower your tax burden in the future. It is a good idea to take the step up in basis when possible if it costs you nothing in taxes now and saves you from having to pay taxes down the road. Disclaimer: Everything mentioned in this article was for purely educational purposes and does not represent a specific recommendation for anyone. With all tax planning decisionsyou should consult a CPA or tax planning professional.